The Decatur's Dinner Party is tomorrow! If you missed your chance to get tickets, you can still support the event by taking part in our Silent Auction. We're using Handbid, an online auction platform, so you can bid from anywhere! The auction is live right now and will close at 9 pm on Saturday (9/8). Head over to Handbid and check out all the awesome packages we have available - you could win items like tickets to an Atlanta United game, a cooking lesson from a Syrian chef, or a spa treatment! You can even download their app and bid on the go. 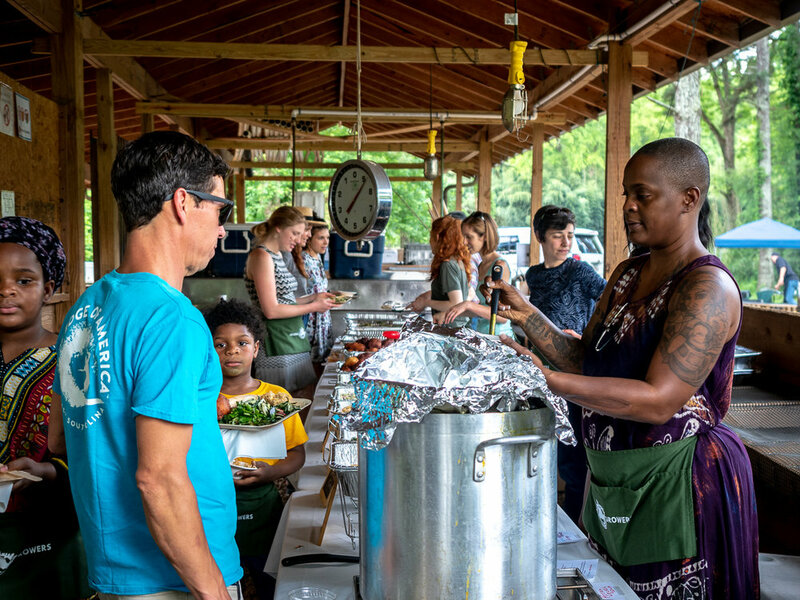 The funds raised at the Decatur's Dinner Party allow Global Growers to assist refugee and limited-resource farmers in supporting themselves and their families by growing healthy food in their own community. Your contributions help us push towards a more equitable local food system. Gai Lan a.k.a Chinese broccoli is an Asian vegetable. It's name in Chinese literally translates to "mustard orchid". In the same family as broccoli and kale, gai lan should be stored in an unsealed plastic or cloth produce bag in your fridge. Use within three days. It's delicious stir fried, roasted, and grilled! An easy introduction to gai lan that can't go wrong. Try it in lieu of your go-to Chinese take out! Add some protein and serve with rice to make it a meal. Knowing that chocolate is made from the seed of a fruit tree makes everything in life better. Delicate cacao trees bear fruit pods, also called cacao. inside each pod, enveloped in the tartly sweet white fruit pulp, are about 40 seeds which will be harvested by cacao farmers living around the world, close to the equator. Xocolatl is the original Nahuatl word, spoken by Olmecs, Mayans & Aztecs, for chocolate, which was first consumed as a sugarless drink made of ground cacao, water & spices. "Xocol" meant bitter & "atl" meant water. Craft chocolate has the potential to slow down deforestation and bring better wages to cacao farmers worldwide. By choosing craft chocolate over industrial brands, you have the opportunity to tell the chocolate giants that there is a market for quality cacao varietals that are responsibly grown & fairly purchased. And who isn't for a win-win-win? When looking to try something new, recipes by local chef Steve Satterfield of Miller Union is one of my go to google searches. He sources locally and seasonally which is cool because he knows a lot about what’s being grown in Georgia and how to cook it! Volunteer and Be a Part of a Great Event! We are looking for some stellar volunteers to help make our Decatur's Dinner Party a success! The Decatur's Dinner Party celebrates Decatur’s vibrant food community - from the exceptional Global Growers farmers who grow fresh, healthy food, to the extraordinary chefs whose restaurants serve Decatur families a dazzling array of cuisines. The event consists of a cocktail hour with passed appetizers, followed by a four-course, family-style meal at the Historic Decatur Cemetery. We've got lots of different options for positions/roles, so whatever you're interested in doing, we'll do our best to make it happen! Read on for more details or to fill out our sign up sheet! We need volunteers during 5 stages of the event, each bearing its own little reward and Global Growers swag to take home. Setting up the auction, bar, photo booth, plates, decor, etc. Join us for a clean up “after party.” Trust us, it will be the most fun clean up party you’ve ever had. Thank You Tru-Nut Powdered Peanut Butter for your support of Global Growers! We were thrilled to meet the owner, Reid Edger, on a Saturday morning in the spring when he came out to volunteer at our Bamboo Creek Farm. Not only did he help spread mulch all over the farm, but he also decided to go a step further and joined our community of supporters. We are grateful for his generosity and his support of Global Growers core mission. We know you will enjoy Tru-Nut Organic Powdered Peanut Butter as you get creative adding Tru-Nut along with your favorite ingredients to a healthy protein shake, smoothie, or other delicious creation. The peanut flavor is even fantastic to use with baked goods! Learn more about Tru-Nut Powdered Peanut Butter: here. Komatsuna, also named Japanese water spinach, is a leafy green in the brassica family with a mild mustard mixed with cabbage flavor. Try it stir-fried, boiled, and added to soups or used fresh in salads. It is also an excellent source of calcium! The summer season can become repetitive and it's hard to find different ways to use the same veggies week to week. This stew can add a little variety to your week and calls for both okra and eggplant. Also a great way to have something to quickly re-heat when you're not feeling up to cooking! Try substituting peanut butter with the Tru-Nut peanut powder. Fall Season Early Bird Sign Up Starts Today! Early Bird Discount until August 17! Our Farm Share members play such an integral role in supporting the farmers who grow within the Global Growers Network. We are thankful for all of your support as we move into the Fall season. Sign up for Season 2 and continue receiving your weekly bounty! Log in to your online member account to add your Fall subscription. Foodology Day this Saturday, August 4th! We were there in July for Food-ology Day and now we're back again! Get out of the rain and visit us at Fernbank Natural History Museum this Saturday where we will hanging out as part of their current exhibition Food: Our Global Kitchen! We will be there with vegetables from our farm and sharing what Global Growers Network is all about. Come and taste some delicious food, participate in demonstrations, and learn more about where your food comes from! Here are some photos from the last Food-ology Day featuring our awesome Summer Garden Crew! A three corn blend of orange flint, yellow and white dent corn that produces a vividly colored and richly flavored product. A hearty southern classic. Shisho is a perennial herb belonging to the mint family. It is seen commonly used as a refreshing garnish in a lot of Japanese cooking, including fish, rice, tempura, soup and vegetable dishes-think of it as Japanese mint. Known for its antibacterial qualities, it's leaves are also used widely in Korea and Vietnam. In Japan, it is eaten by mixing in with pickles, noodles, or salad. Another great idea is using it to replace mint in a summer cocktail! Mojitos anyone?? Sweet potato greens are such a lovey summer green! I personally think they are great for breakfast-sauteed with oil, garlic, salt and a little maple syrup to be served beside eggs. This recipe introduces ingredients to make something almost like a curry. Sounds like a great compliment to the slight sweetness of the sweet potato greens! Decatur's Dinner Party Tickets on Sale July 23rd! The City of Decatur and Global Growers present Decatur’s Dinner Party, celebrating Decatur’s vibrant food community and the people behind it. This event is one of Decatur's best food events of the year and all proceeds go to support our work. Come enjoy some delicious food, support a great organization, and sprout change within your food system - we hope to see you in the historic Decatur Cemetery on September 8th for a delightful evening! Live auction on packages worth up to $1000! We'll be releasing more information about the restaurants and auction items as the event gets closer, so check back on our website to find out more. Founded by farmers in 1988, Blackberry Patch harvested local fruits and used time-honored Southern techniques to make jams, jellies and syrups. Their fruit syrups, toppings, jams, and preserves are all handcrafted in Thomasville, Georgia, a welcoming, small Southern town that has served as a source of inspiration for many of their time-tested recipes. Their products have a just-like-mother-made-it good taste, because each is made with all-natural flavors and ingredients. Water Spinach- Water spinach is a tender green that is in the same family as the morning glory. It is a common ingredient used in many Southeastern Asian dishes. It is delicious when stir-fried with garlic and chilies or stirred into a brothy soup. It should be stored in a plastic bag in the refrigerator and should be used within 3-5 days. Asian Pear- Also known as Korean or Chinese Pear. Unlike the pears we are used to seeing in the United States, Asian pears are a larger and rounder fruit. They are slightly sweet and remain crunchy with a creamy flesh after ripening fully. Great to add raw to a salad or shredded into a slaw. This a really basic recipe, but it's a classic way to cook water spinach thats enjoyed all throughout East Asia. It's also so so good. A great way to experience all that water spinach has to offer! While you are waiting on those pears to hurry up and ripen here's a little bit of background about where they came from! The pears you received in last week's Farm Share basket are the first real fruit to be harvested from Decatur Kitchen Garden! Other fruits we are growing are May-paws, Apples, Elderberries, Plums and Blueberries. We are looking forward to being able to harvest more fruit in the future to include in our Farm Share as well as share with the community growers. Thank you to our Summer Garden Team members who helped harvest the pears! They are a group of Clarkston High School students working with us for the summer. Decimal Place Farm is a 40-acre Grade A Saanen dairy goat farm located in Conley, Georgia in Clayton County. Every day cheese is made in several batches from milk that is straight from their beautiful herd. Decimal Place is passionate about producing a healthy source of nutrition and protein for the community, which nourishes our bodies and promotes our wellness. There are many benefits to eating cheese that is local, fresh, preservative-free, dye-free, low/no salt, and made from animals that are hormone and anti-biotic free. Their cheese is known to have delicious and unique flavor, but also for increased ability to digest cheese, even when formerly allergic. To keep your basil as fresh for as long as possible it does best if treated like cut flowers. When you bring your share home, cut the ends of your basil and place it in a jar with water. Cover it with a plastic bag and just leave it on your counter. Your basil can last at least a week this way and it's always readily available! Unlike parsley or cilantro, basil in the fridge tends to turn the leaves black. Your basil will love you even more if you change the water regularly. This delicious recipe uses a number of the veggies in this weeks share. Plus it is both vegan and gluten free. A true winner! Serve it as a side dish or over rice as a full meal. Check out our Member Store! Hey Members! I hope the holiday this week gave you a chance to spend some extra time with friends and family. Our partner farmers are back at work and gearing up for another week of Farm Share. 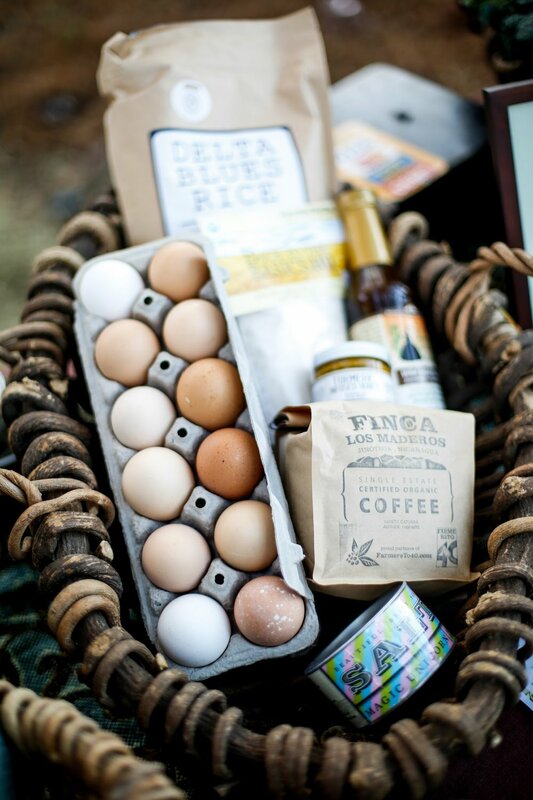 Speaking of Farm Share, have you had a chance to visit our Member Store online? Maybe you're out of Georgia Grinders Peanut Butter or loved Delta Blues' rice. Need a dozen eggs? We've got 'em! Add an item to your basket and it will be there at the following week's pickup. It's that easy! Tea that's made by tea lovers right here in Atlanta, Ga! "While scouring places for tea, I decided I would MAKE what I want. Combining flavors from around the world that was pleasing to the palate while still keeping it light and interesting, Just Add Honey Tea Company was born. Fresh, fun, and sophisticated flavors combined with stimulating and soothing ingredients are in every cup. Our ingredients are all natural, pure, and easily recognized. Nothing is changed or altered. Our mission is to bring thoughtfully blended teas to your doorstep." Being a member of a Farm Share is a wonderful way to eat fresh and healthy produce, all while supporting local sustainable agriculture! But sometimes is can mean feeling overwhelmed by a lot of one veggie during the summer season. Here's the lowdown on how to easily freeze and store that extra squash you aren't sure you'll be be able to get to in time. 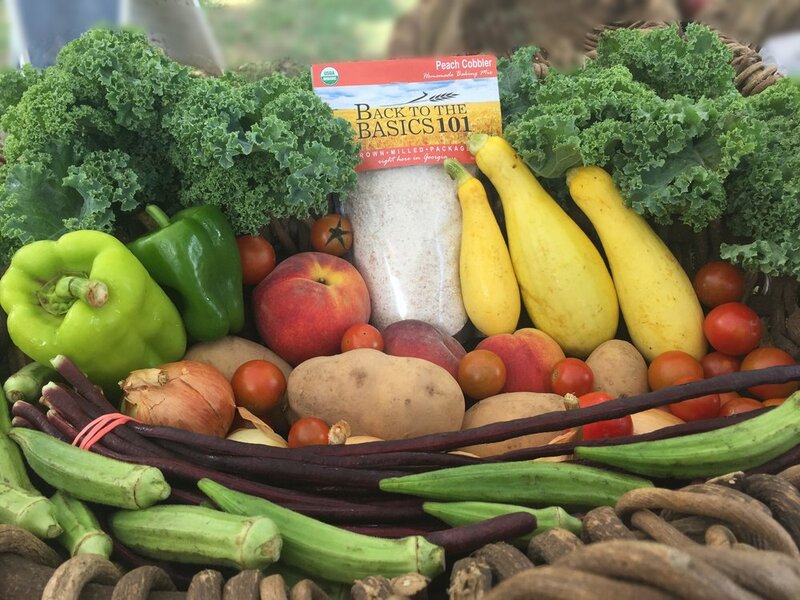 A great way to enjoy your Farm Share produce year around! A great recipe for your potatoes and leeks that's not a soup! Just leave the bacon off to make it vegetarian (maybe add those shiitake's if you haven't used them already). Global Growers will be at Fernbank Museum! Our team will be hanging out at Fernbank Museum of Natural History on July 7th and August 4th as part of their FOOD-ology Day, inspired by their newest exhibition, FOOD: Our Global Kitchen! We will be there with vegetables from our farm and sharing what Global Growers Network is all about. Come taste some delicious food, participate in demonstrations, and learn more about where your food comes from! Natalie Keng is the Founder and Owner of Chinese Southern Belle, a company whose sauces blend classic Asian flavor with traditional Southern ingredients. Natalie's background in good food is one that extends through both generations and continents, and pays homage to the way that food can connect people of different cultures, ethnicities, and backgrounds. All of her sauces are made right here in Atlanta! Eggplant is one of those vegetables that does best if used within a couple of days after harvesting, so think about using it soon after you bring it home. They prefer a temperature of around 50°F so try keeping them somewhere cool and dry. Wrap them in a paper towel and put in an unsealed container or produce bag. Can't get to your eggplant in time? Don't worry, it freezes great! Do not wash okra until you are ready to use it. To keep okra fresh longer wrap it in paper towel a store it in a paper bag in the vegetable drawer in your refrigerator. Make sure you use your okra within a few days. An easy and super delicious way to enjoy your long beans for any meal. 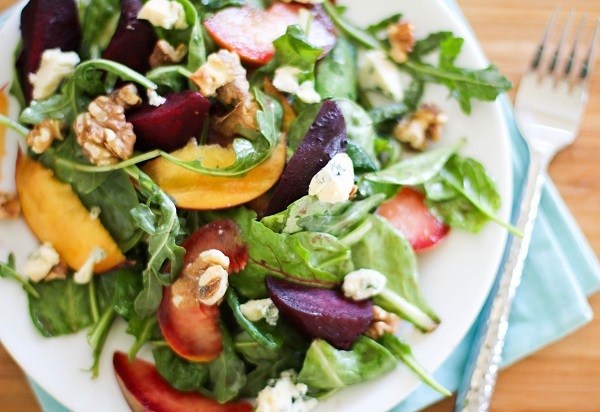 Make extra and store them in your fridge to add to salads for the rest of the week! Come support three great local food organizations at a Bloody Mary Brunch! Community Farmers Markets, Global Growers Network, and Hungry Heart Dietary Consulting invite you to join us for a morning in the garden. Featuring a create-your-own Bloody Mary Bar (courtesy of Cathead Vodka), King of Pops Prosecco "Poptails", local beer, and sweet and savory brunch options, it should be a delicious way to start the day! There will be games for kids and adults, as well as a private tour of the Hayes' garden, which you definitely do not want to miss. Come learn about these great organizations and support change in your local food system! Former educator, Marci Scharko is a female entrepreneur who began her business over a decade ago. As a caring mother of two, she needed to use body products with few ingredients for her daughters' sensitive skin issues. She found there were no good options for simple, natural, effective skincare on the market. So, she put her education background to work along with her passion for natural botanical ingredients and developed a soap recipe that worked. She began selling her soaps alongside her families organic farm at local markets. Her product line has grown to include 50 different items and so has her knowledge and passion for business. Her business production has moved from her kitchen to her studio inside her renovated barn behind her 1900’s cottage home in Tyrone, Ga. She’s proud to say her daughter, Madhavi who was the inspiration for the business, will be going off to college in the Fall where she will be pursuing a degree in Business/ Entrepreneurship. The small team at Turnrow consists of Marci, Roy, Madhavi and Rhea Scharko, Kalina and Seth Patterson and Noah Schmitz. If you didn't already know, you should not store your tomatoes in the refrigerator. They do best on your counter out of direct sunlight. If your tomatoes haven't fully ripened yet, or if they are not going to be used immediately, be sure to keep them stem side down. Don't wash your blueberries until you are ready to eat them. Store them in a well ventilated container or bowl in your refrigerator on a shelf, not in the crisper. This will keep them the driest which helps to prevent them from molding quickly. If your blubes do start to overripe before you can get to them all, place them on a baking sheet and freeze them until they have hardened. Afterwards, pop them in a storage bag and use them anytime you're ready! Frozen blueberries are also extremely delicious by themselves, or in a summer spritzer! Banana and Blueberry "Ice Cream"
There are so many delicious ways to use blueberries, it was really hard to decide on just one. This is a quick and easy way to beat the heat, because summer is officially here! Maybe even top with a little sparkling white wine if you're feeling fancy. Our annual fundraiser, Decatur's Dinner Party, is coming up on September 8th! A wonderful event featuring chefs and bartenders from Decatur's top restaurants creating dishes and drinks with Global Growers produce, this is sure to be one delicious evening! Plus, all proceeds help refugee and limited-resource farmers support themselves and their families by growing healthy food in their own community, pushing towards a more equitable local food system. Tickets go on sale on July 8th! Leeks are a member of the onion family and should not be washed or trimmed before going into your refrigerator. Leeks can sometimes exude an aroma that can be absorbed by other things in your fridge, prevent this by wrapping your leeks lightly in plastic wrap before putting them in your crisper. Did you know you should be storing your cucumbers at room temperature? I did not know this! According to UC Davis cucumbers become cold injured if they are exposed to a temperature of 50°F or lower for more than three days. Cold injury can cause your cukes to become waterier, and decay faster. Also, cucumbers are sensitive to ethylene gas, which is put off by some ripening fruits and vegetables. So for longer storage, don’t keep your cucumbers near melons, tomatoes or bananas. I am so happy to know this information and I hope you are too! This delicious gratin is a great way to feature this weeks squash and leeks on your dinner table. The addition of white wine and Gruyere cheese can't be bad etiher. Come out and support Global Growers! Don't miss the final Grillin' & Chillin' event of the season! 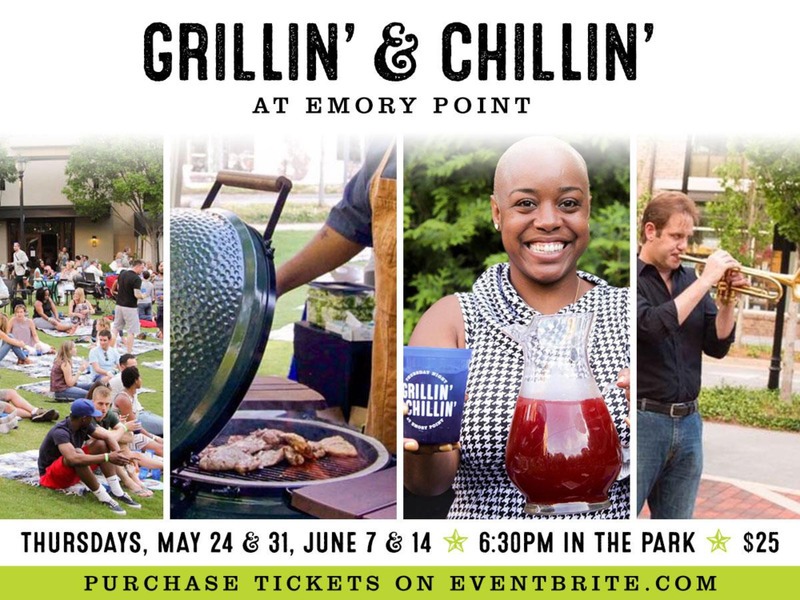 Join Chefs Jason Jiminez from Kitchen Six and Jeff Sellers from Leon's Full Service for a cookout and concert on the lawn at Emory Point. The Big Green Eggs will be grillin' and favorite local band, Lilac Wine, will have you chillin'. Dinner, concert, craft cocktails and beer are included in the ticket price of $25 and all proceeds go directly to Global Growers! Delta Blues Rice is grown, artisan-milled and packaged in small batches on the Arant family’s multi-generational farm that has been operating for nearly a century. The rich, Mississippi Delta soil, has given birth to agriculture and the Blues, feeding both the body and the soul of the country. Since its launch, the versatile pantry must-haves rooted in Southern culinary tradition have picked up awards from notable national players like Southern Living and Garden & Gun. They are truly a farm-to-table operation. The family oversees and carries out each step that brings the crop to your table—planting, harvesting, milling and packaging. On Arant Acres, they use only the highest quality seed and mill their harvest to order in small batches to ensure the freshest rice is provided every time. Because only one variety of rice is used, the flavor is rich, consistent and far superior to the typical brands found at the grocery store. Dandelion greens are super good for you! There are lots of ways to benefit from this bitter tasting leaf. Saute or braise them with lots of garlic and lemon-serve them as a side or mix in with pasta topped with a cheese like Parmesan. Juice them for a quick liver cleanse. 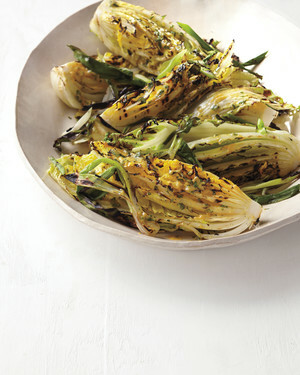 You can incorporate them into a salad tossed in a citrusy vinaigrette. Swap out half the amount of basil for a batch of pesto. Full or Vitamins A, C, K and B2, dandelion greens also have more iron and protein than spinach! So eat up! As a Farm Share Member you have already taken a step towards a more just food system--now there's an opportunity for you to expand on the part you are already playing. Global Growers is looking to build an Impact Advisory Corps to support our social enterprise and take a deeper dive into some strategic support. We value your input and guidance and invite you to join us at Wrecking Bar Brewpub on May 23. Learn more here. Don't forget! Our 7th annual Toast to the Culture in Agriculture event is only a week away. Come see where your veggies are grown and meet the Global Growers team! Founder Lupa Irie has been brewing Kombucha since the early 90's and selling it throughout the Atlanta area since 2010. Her knowledge and passion shows through in this delicious and healthy product! What is kholrabi exactly? In the cabbage family, this bulbous vegetable is wonderfully versatile with a taste and texture somewhere between a cabbage and broccoli stems, and leaves like collards or kale. It's like four vegetables in one! Be sure to remove the leaves from the kholrabi and store them separately (you'll want to use those leaves within a couple of days). Scrub your kholrabi bulbs clean and then store them in a loose fitting plastic or paper bag. Store them in your fridge and they can last up to a few weeks! It's getting hot out there and this light, delicious slaw will help beat the heat. Your turnips would pair nicely too! We've got the (solar) power! Global Growers was selected by Solarize Decatur-Dekalb to receive a solar array to power our Bamboo Creek Farm in Stone Mountain! Installation has finally begun and we are super excited! Read more about this project here and come and see it for yourself during our Toast to the Culture in Agriculture event May 19th! Founded by two women in 2015, Treehouse Milk makes fresh, pure nut milk out of Grant Park in Atlanta. Treehouse currently makes ten different blends of milk -- from organic cashew milk, to organic almond milk, to macadamia milk, to the original Georgia Pecan Milk. Milk is pressed in small batches, with attention to quality and ingredients – free from carrageenan, gums, and other additives found in big brand nut milk. We make every attempt to reduce waste throughout our process, including composting our food waste to a jar reuse program in partnership with our customers. When you bring you beets home be sure to cut the leaves off before storing them in your fridge--the leaves zap moisture away from the root. Cut the leaves about two inches from the top of the beet. Store root bulbs and leaves separately in bags in your refrigerator. Use the leaves within two days and the bulbs within 7-10 days. Don't throw those leaves away! Here is a delicious way to make sure no part of your beet goes to waste. This can be served as a side dish or over rice with an egg as the main course. May is quickly upon us but there’s still plenty of time to get your tickets for our 2018 Toast to the Culture in Agriculture event! 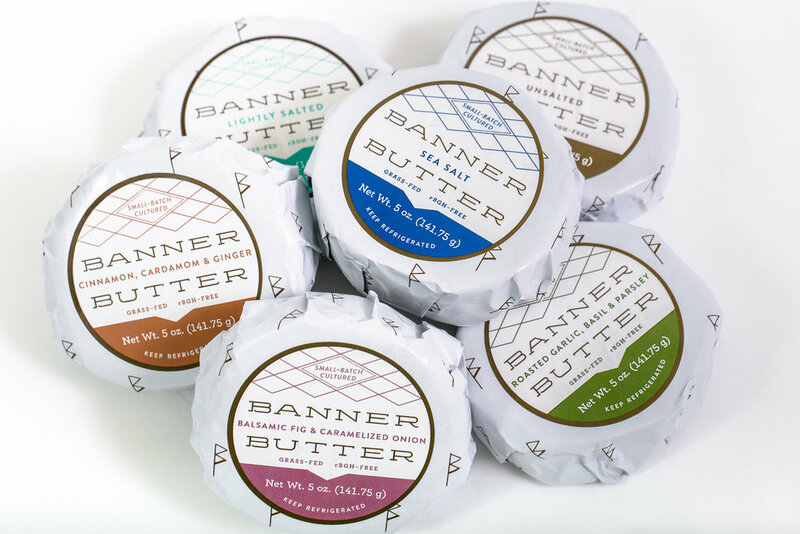 While industrial scale butters are made with unripened cream and added "natural" flavoring, Banner Butter, a small-batch butter, is made with patiently-cultured cream from hormone-free, grass-fed cows with no added flavoring. You’ll want to put it on and in everything. Mushrooms stored or wrapped in plastic tend to become slimy and spotted. To keep your mushrooms fresh longer, store them unwashed in an open paper bag in the main compartment of your refrigerator. The mushrooms will love the extra air circulation and the paper bag will help absorb any moisture. Before cooking, using a damp cloth or paper towel to remove any dirt instead of running them under water like you do with most veggies. This weeks bounty is practically begging to be all tossed together for a simple and delicious stir fry! Chop your pac choi and turnips. Shred your carrots. Slice your mushrooms and green garlic. Heat up your favorite cooking oil in a skillet (your Oliver Farm Sunflower oil would do nicely!) and toss it all in. I would suggest cooking your pac choi stems first and then adding in the leafier parts at the end. Make a sauce with a chili paste, soy sauce, and a little lime. Throw that into the mix. Serve over rice and/or add a runny fried egg on top and you're good to go!